“Last winter we experienced so many challenges with getting residents’ washing dry and having to go to another home to warm or defrost foods,” says Tracy Morris, Assistant General Manager of Includid Group Homes. Soiled mattresses also need to be replaced due to a lack of mattress protectors. 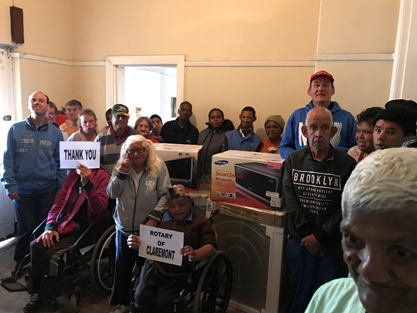 Two brand new tumble dryers and microwaves, and ten mattress protectors, were delivered thanks to the Rotary Clubs of Claremont and Sea Point.